You are not just visiting Ravinia; you are visiting Highland Park! Ravinia’s hometown of Highland Park is a proud city of 30,000 people founded in 1869 on Chicago’s North Shore of Lake Michigan. Local attractions include two local shopping districts with a variety of casual and fine dining restaurants, the Heller Nature Center, Rosewood Beach, landscaped parks designed by the legendary Jens Jensen, and homes designed by Frank Lloyd Wright. Enjoy your time in our hometown. Please support the local businesses, and be courteous to our residential neighbors, especially when arriving and leaving concerts. We bring up to 600,000 customers each year to Highland Park. It’s widely accepted that for every dollar spent at a cultural institution, $7 is spent in its neighboring community (Americans for the Arts: “Arts and Economic Prosperity IV”). Ravinia gives Highland Park five percent of its annual gross ticket revenue, more than $1 million per year. The more successful Ravinia is, the more successful Highland Park is. Although Ravinia is a not-for-profit, it pays for city services, such as police and fire protection. In fact, Ravinia pays additional salary to local emergency officials for duties at the festival, allowing the city to attract the best applicants. Highland Park benefits from sales tax on such items as food, beverage, and merchandise sold in the park. Ravinia is one of the city’s biggest employers, especially of students in their first jobs as ushers, waiters, parking lot attendants, etc. Ravinia provides a brand/identity that sets Highland Park apart from other communities. We continually field calls from other communities that want information on how they might form their own Ravinia-style institutions to reap the same benefits we provide Highland Park. Ravinia brings great music and world-class artists to a beautiful environment in the city’s backyard. Ravinia's classical music programming over the past 15 years far exceeds the traditional 50/50 ratio of classical to non-classical concerts. Ravinia is a lead sponsor of the annual Highland Park Business Summit. Ravinia adheres to the city’s high standards of recycling and other green initiatives, such as recyclable cutlery made from sugar cane. Ravinia is an active member of Highland Park’s business community, working with the City’s Business Connection seminars, the Ravinia Business District, and the Chamber of Commerce, through which we also provide annual scholarships to Highland Park High School students. We’re also an anchor advertiser in the Chamber’s publications. Ravinia generates overwhelmingly positive publicity for the city with thousands of free “hits” each year. The social media posts from our visitors are immeasurable. Publications carefully cover Ravinia throughout the year. Ravinia provides discounted advertising rates and sponsorship opportunities for local businesses. Ravinia engages local businesses whenever possible, including local photographers and food retailers, etc. Each year, we give a free seminar to share ideas on how local companies can leverage Ravinia’s appeal for their marketing needs and explain how to do business with Ravinia. Ravinia carries and promotes local brands when possible. For instance, in 2018 the startup Sally’s Nuts was invited to sell their product in the park, and Ravinia delivered samples to 150 radio and television personalities and executives. Ravinia is regularly active in Highland Park High School’s Focus on the Arts and has spent thousands of dollars to make these events successful. Ravinia runs an “El Sistema” student orchestra for more than 200 mostly Spanish-speaking elementary-school students at Bennett Gordon Hall—10 percent of which come from Northwood Junior High School. Ravinia provides the musical instruments and pays for the music teachers for this student orchestra. Ravinia works closely with the District 112 Foundation, providing more than $44,000 annually for music education, bringing music programs into classrooms, and providing an annual “Kids Go Classic” outing for students and families to the festival. Ravinia partnered with the city’s recent anti-bullying initiative, involving such headliners as Ramsey Lewis and Laurie Rubin. All children and students are admitted free to the lawn for all classical concerts, including the summer residency of the incomparable Chicago Symphony Orchestra. 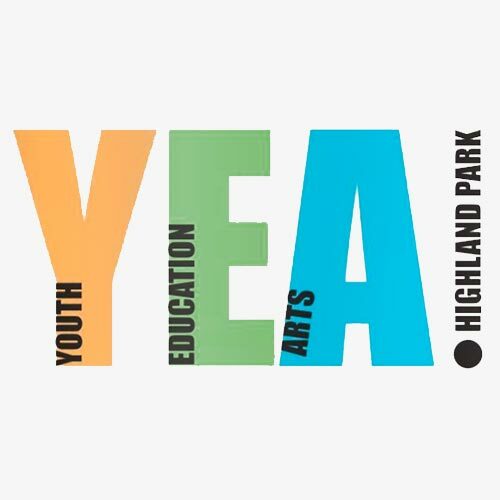 Grants are issued to local not-for-profits through YEA Highland Park, which receives a percentage of Ravinia’s donation to the city. Ravinia also provides YEA with free concert tickets to sell at benefit pricing. Recipients include TriCon Child Care Center, Highland Park/Highwood Child Care Association, Midwest Young Artists, Highland Park Strings, and the Zacharias Sexual Abuse Center. Highland Park residents are greatly involved in Ravinia’s volunteer boards. We contribute tickets and goods to many charitable organizations in Highland Park, such as the District 112 Fun(d) Run, Sister Cities, Highland Park Strings, and the Highland Park Historical Society for their use in fundraising. Ravinia allows the city free access to its West Parking Lot for the dumping of snow plowed from city streets. Ravinia helps with city utility issues, such as installing a city tornado siren on its property, along with antennas for its water-meter reading. To ease congestion of local telecom equipment, Ravinia installed a Distributed Antenna System to improve cellular reception around the park. Ravinia waives its fees for the annual graduation ceremonies of Highland Park and Deerfield High Schools.